The Xinjiang Victims Database, based at www.shahit.biz, is a platform designed to collect and store testimonies from friends/relatives of people currently detained in Xinjiang's present reality, whether that means confiscated documents, house arrest, concentration camp, or prison. 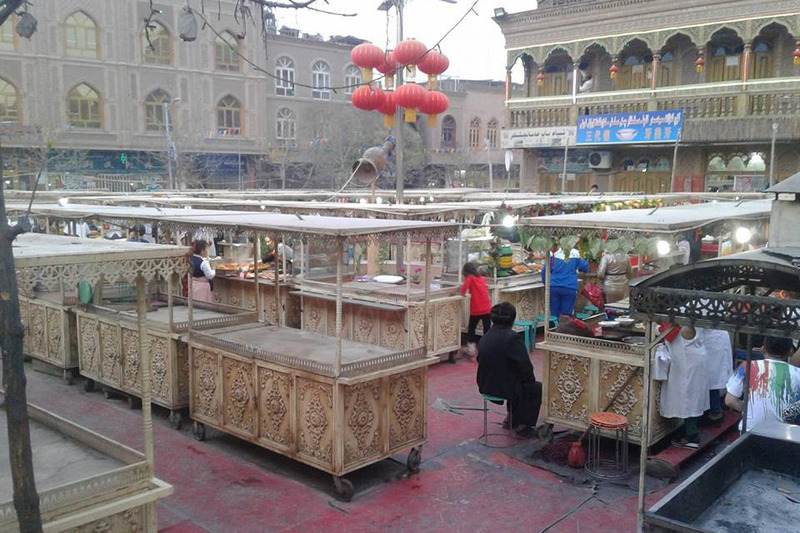 The photo above is of the Kashgar night market from this past April - now largely empty because a lot of the vendors are just "gone" or discouraged from interacting with foreign tourists (my educated guess, though I also know 1-2 of the vendors who've been "taken"). We are fundraising to pay the part-time salaries of our importers - who are taking testimonies from publicly available Kazakh and Uyghur Youtube/Facebook videos and importing them into the database in text format daily. There are currently 3 paid teams working in parallel on importing Kazakh-language testimonies, Uyghur-language testimonies, and testimonies with English subtitles/translations. We are averaging over 20 new testimonies per day, and anything you donate will allow us to keep on going. A 10USD donation can fund the addition of anywhere from 1-5 testimonies, depending on the length of a given video and the number of victims mentioned. Gene A. Bunin is an independent scholar who has spent ~5 years in Xinjiang, where he had researched the Uyghur language. After leaving China in May 2018 because of the worsening political climate, he spent about 4 months in Almaty, Kazakhstan, getting involved in activism aimed at exposing the current human rights catastrophe in Xinjiang. Currently based in Uzbekistan, he is now continuing his work remotely, and focusing on the development, populating, management, and promotion of the Xinjiang Victims Database. As the "manager" of the database, he is directly responsible for organizing the import teams that fill up much of the database's content, and interacts with them directly on a daily basis - taking the funds raised here and sending them as salary, via Paypal or bank transfer, to the individuals doing the import work.